Have you considered growing your own pumpkins? Do you enjoy making homemade pies? Are you into making crafts and decorations for the holidays? If you answered yes to any of the above questions then you should consider growing your own pumpkins. One of the best things about growing your own pumpkins is that they come in a variety of shapes and sizes, not to mention colors. The key to growing your own pumpkins is to choose the right type of pumpkins for your needs, but you might be interested to know that there are also pumpkins available that will fulfill all of your pumpkin needs. 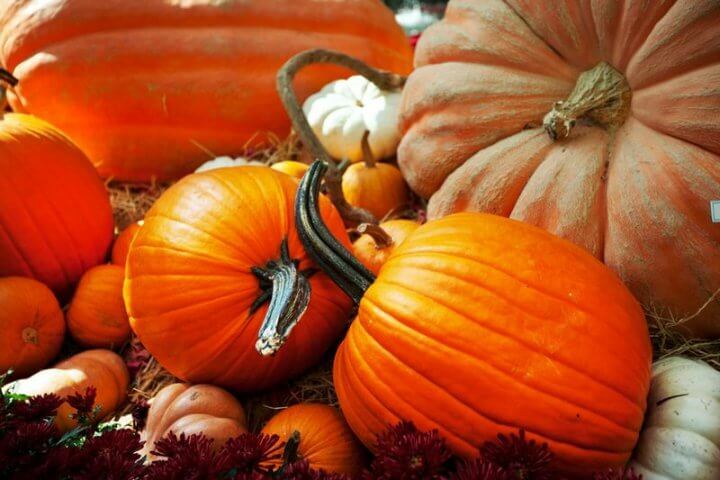 To find out about all of the various types of pumpkins that you can grow you should consult with your local nursery. Here are some reasons why you should grow your own pumpkins. One of the best reasons that you should grow your own pumpkins is because it can help you save a lot of money. If you are really into carving pumpkins for Halloween decorations than you already know how expensive it can get to purchase the pumpkins. But if you grow your own you can actually cut your expenses by quite a bit because all you are going to have to do is to purchase the seeds and fertilizer required to grow healthy pumpkins. And if you decide to plant them the following year, all you need to do is save a few seeds from your fruited pumpkins. Another great reason that you should grow your own pumpkins is that you can grow a variety of pumpkins, including pumpkins that are designed for eating. This will allow you to make some great homemade pumpkin pies, along with other delicious dishes with organic produce, without having to pay extra for it. You can also grow the super tiny pumpkins, which are great for decorating for Thanksgiving and Halloween. Another great reason to grow your own pumpkins is to get the seeds from the pumpkins. Many people love to munch on pumpkin seeds and the best thing is that they are not very hard to make. By growing your own pumpkins you are going to have as many seeds as you want to eat. You can also use the seeds as gifts during the holidays. Another reason that people grow their own pumpkins is for the actual leaves. There are many people who find the pumpkin flowers to be rather tasty. And since the vines produce flowers all season long you will have plenty of flowers to pick and add to your salad. Another great reason to grow your own pumpkins is if you are into making crafts or decorations for the holidays. Not only do the smaller pumpkins make great decorations, but the flowers that are produced, both male and female, are great decorations as well. You can find many uses for pumpkins when it comes to fall and winter crafts. Just remember that no matter what your reason is for growing your own pumpkins the best thing about growing them is that it can be done with little expense and not a lot of time, which leaves you with more time for cooking, cleaning and preparing your decorations for that holiday get-together. But if you are going to grow your own pumpkins you are going to want to talk to your local nursery or do some research on the best types of pumpkins for your needs, not to mention some good growing tips so you get the best pumpkins possible.